Between buying gifts, hosting parties, and working fewer hours, it’s easy to add on debt during the holidays. So easy, in fact, most Americans tack on additional $1,000 to their credit card bills according to a national survey by MagnifyMoney. 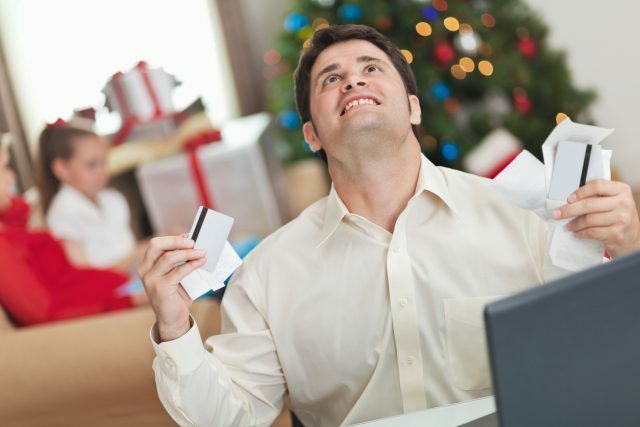 To help you this holiday season, here are five easy tips to help you manage your spending. Make a list and budget. Determine how much you want to spend, not only on gifts for friends and family but also things like decorations, food, and drinks for holiday parties. Separate your “holiday funds.” Once you determine a realistic budget, separate your “holiday funds” either by setting up a separate account or transferring it to another unused account. This can stop you from using money intended for rent or bills and will (hopefully) prevent you from tapping into that credit card. Track your spending and set up alerts. Use your mobile banking app often to ensure you’re sticking within your means and budget restrictions. You can also set up account balance alerts when your “holiday funds” get low. Be resourceful. You don’t always need to shop at brand name stores or high-end malls to find quality gifts. You can often find the same items for less with online retailers (look out for ones that offer free shipping) and discount sites like Groupon. Plus, you’ll save money on gas and will likely avoid the temptation to get that Frappuccino, Cinnabon or eat at the myriad of chain restaurants nearby. Consider a gift exchange instead. If you have a big group of friend or lots of family members, present the idea of doing a “White Elephant” or “Secret Santa.” That way you’re purchasing just one gift as opposed to several. Already in credit card debt? Our COO Jim Reuter also offers up these awesome tips to pay down credit cards fast.